The Amsterdam is a dual-action automatic knife from Matt Diskin's Volcan Knives. 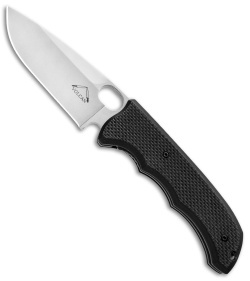 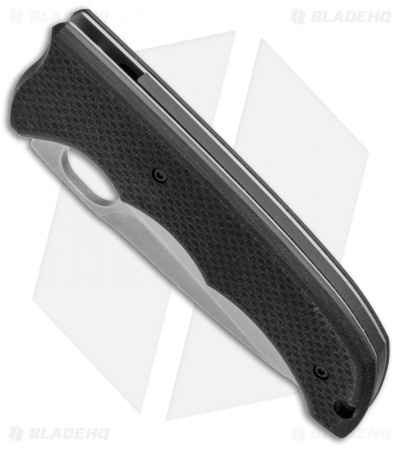 This knife has G-10 scales over a steel liner lock frame. The front scale has a hidden release that activates the automatic opening mechanism while the back scale has a sliding safety. The stonewash finished AUS-8 stainless steel blade is drop point styled with a large ambidextrous thumb hole for easy one-handed manual opening. Although the overall size of the knife is smaller, the larger blade profile makes it an outstanding utility knife. The grippy handles and over-sized thumb hole make operating this knife a cinch, even with gloves on. 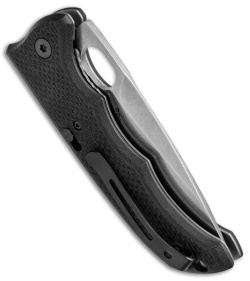 The black finished pocket clip makes for easy tip-up carry. 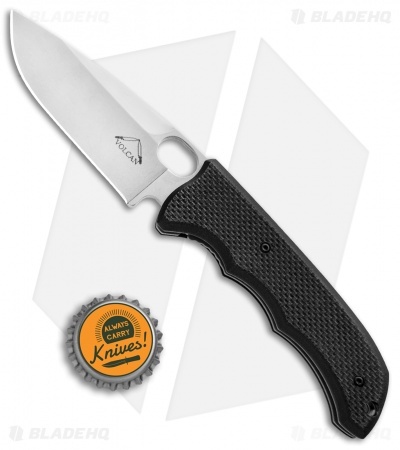 This is a great knife that we're excited to carry!